Back when I was a child in Metuchen, New Jersey, hurricanes passed by with some regularity. 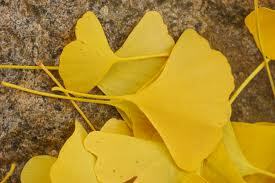 One came just after my father had planted twin gingko trees in our front yard. While he was normally quite fastidious in tree-planting, for some reason he had neglected to stake these two. That night, as the worst of the hurricane passed, he watched with rising upset as his gingkos tossed and bent nearly to the ground. “We could lose them if the wind keeps up,” he fretted. My mother was unmoved, not caring overmuch about trees. Imagine her alarm when he appeared at the front door in a raincoat, armed with rope, stakes and a mallet. “You’re crazy!” she yelled over the storm. “You want to leave three children fatherless for a couple ginkos?” I peered into the black, driving rain. They did look a little insignificant — and replaceable. Happily, both the trees and my father survived the storm and grew to stately age. Fast forward to Hurricane Irene. In Manayunk, PA, police arrest two men for rafting down the main street on a charge of “lack of common sense.” If the Metuchen police had been equally diligent, my father would have been locked up that night. As it was, we had ice cream and it could be that my mother was secretly proud of him.